Behind Brands™: An interview with Marius Sunde from Snøhetta. 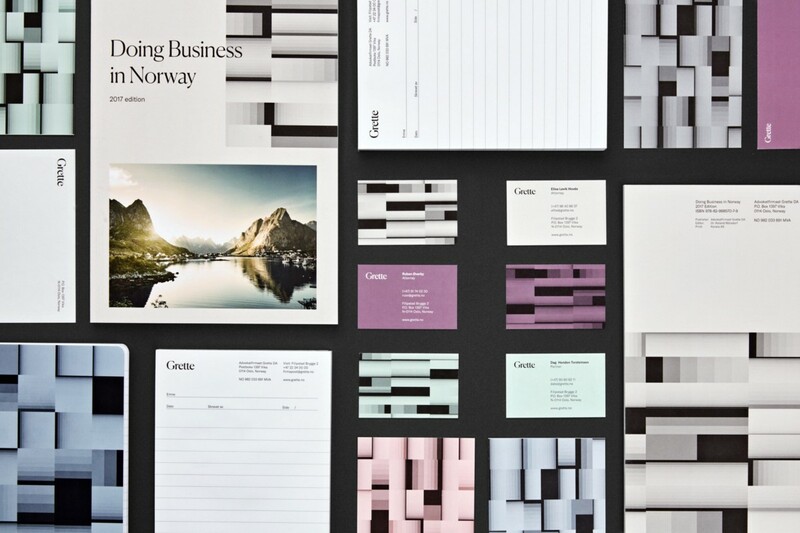 We sat down with Marius Sunde, designer at Snøhetta, to talk to him about how he got started with design, his process and how he and Snøhetta approach a brand identity project. I guess installing Dreamweaver and making band websites when I was around 14 is what got me into design in the first place, and from there on the interest for anything designed grew. Straight out of high school I pursued a degree in Media & ICT, during which I had a class called strategic design that I found to be a ton of fun, and this was probably my first introduction to branding beyond aesthetics. Somewhere along this course, I decided to study graphic design and haven’t really looked back since. I guess what it all boils down to is an eagerness to create, and doing so together with a client. 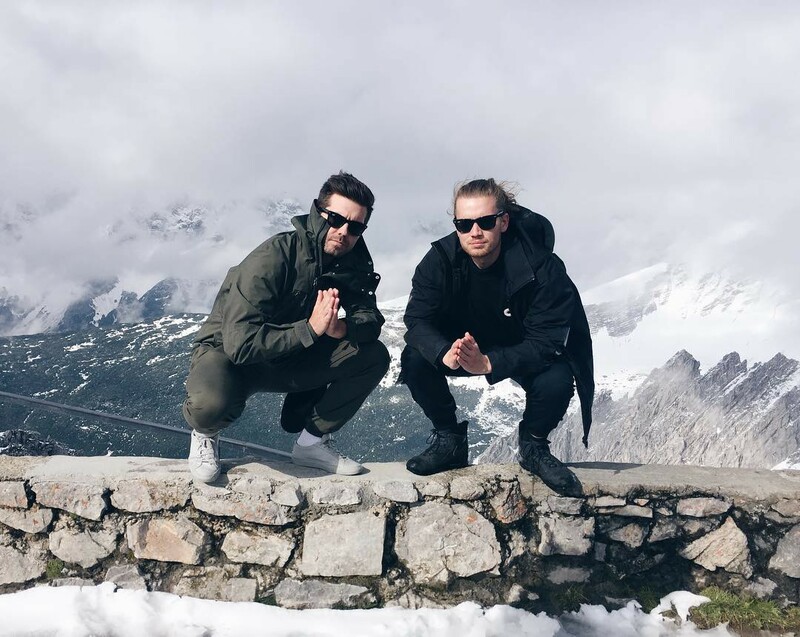 Marius & colleague Kim Andre Ottesen from a Snøhetta trip to Nordkette in the Austrian Alps. To me, the perfect brief is one that clearly specifies the clients needs, but at the same time leaves enough room for you to be able to surprise both yourself and the client. I think having a really good understanding of who the client is and what they do really sits at the core of any good brief, and in my experience, this comes from close collaboration and dialogue. Being able to shape and define the brief together with the client also helps tremendously. 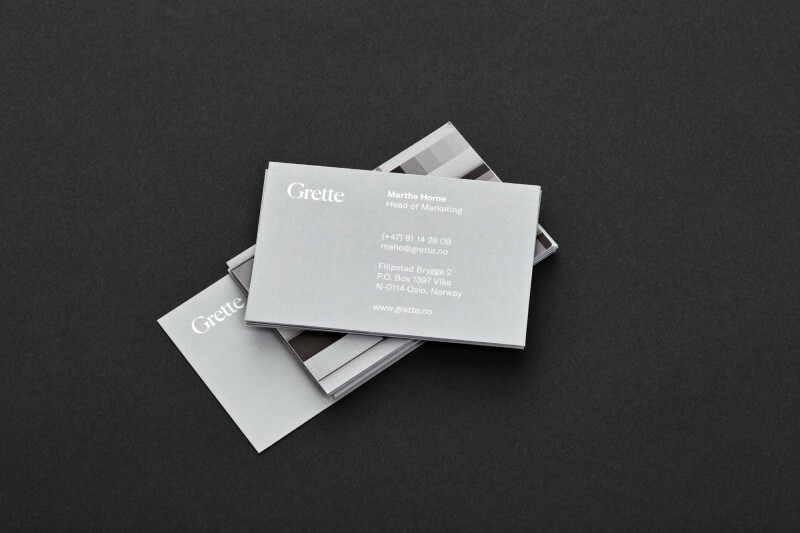 You recently worked on the branding for Grette and Cinamateket. How do you creatively approach projects like these — from beginning to end? Here at Snøhetta, we have a methodology which is the outcome of a SINTEF(Foundation for Scientific and Industrial Research) led research report on creativity that we took part in, and it lays the foundation for essentially any project we do, be it brand identities or opera houses. We invite the client in to a four-hour workshop where they are encouraged to invite a cross-section of their staff with anything from three to sixty people. The reason we do this is that to truly understand a brand, you should not only talk to high-level executives, but also the receptionist, or the person manning the film projector — the people who day in and day out make up this brand. The desired outcome of the workshop is to create a concept for the client; a single word concept that encapsulates their identity. The four-hour session is capped off in our wooden workshop, where we in groups along with the client force ourselves to build physical concept models, as we are firm believers that we often think just as well with our hands as we do with our heads. It also helps us prioritize and boil the brand down to its essence. 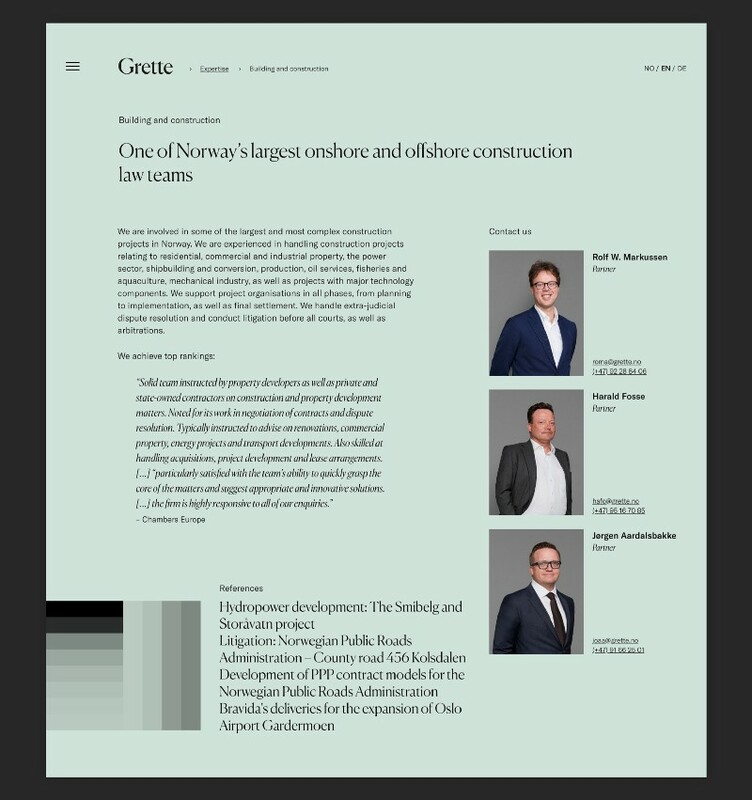 In the case of Grette, one of Norway’s leading business law firms with five different departments, the final design concept was interplay — as they have an extraordinarily high focus on cross-department collaboration, but also providing a more collaborative service to their client. 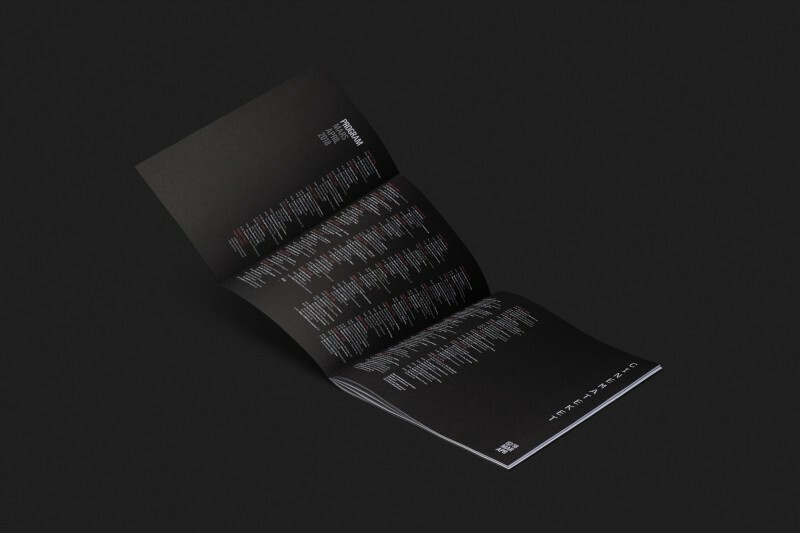 Informed by the fact that they must acknowledge the importance of both professional and personal traits of every employee and client in their processes, we created a generative pattern which is created by employee data, such as their name, positions, and seniority; underlining the importance of the individual to the collective. 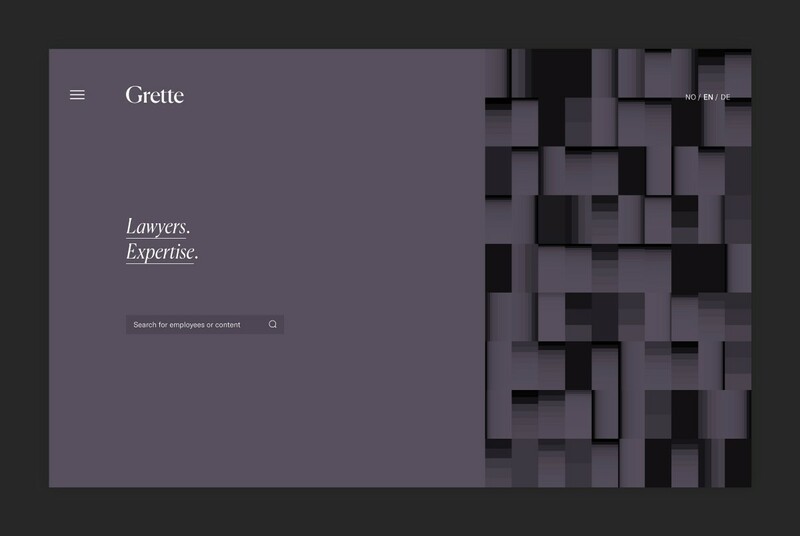 Stationary for Grette law firm. Cinemateket lives and breathes films. 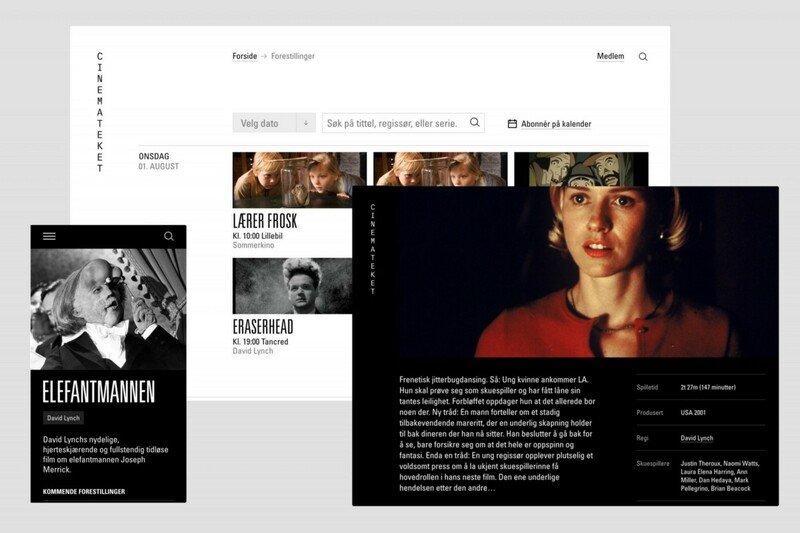 It is owned by the Norwegian Film Institute, and is essentially what a library is to books; a place where the commercial value comes second to the quality and art of film. 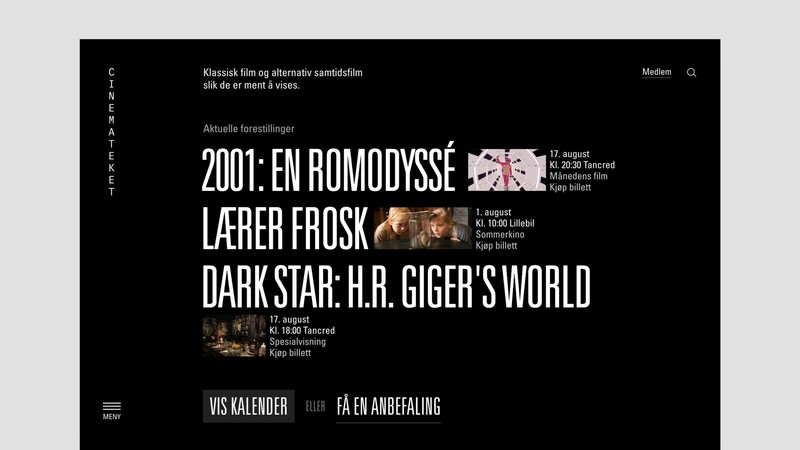 Cinemateket show films that have importance either in the history of filmmaking or in the contemporary context, and as such the design was informed by the concept of enlightenment — a nod to the actual light they shed on the art and history of films. 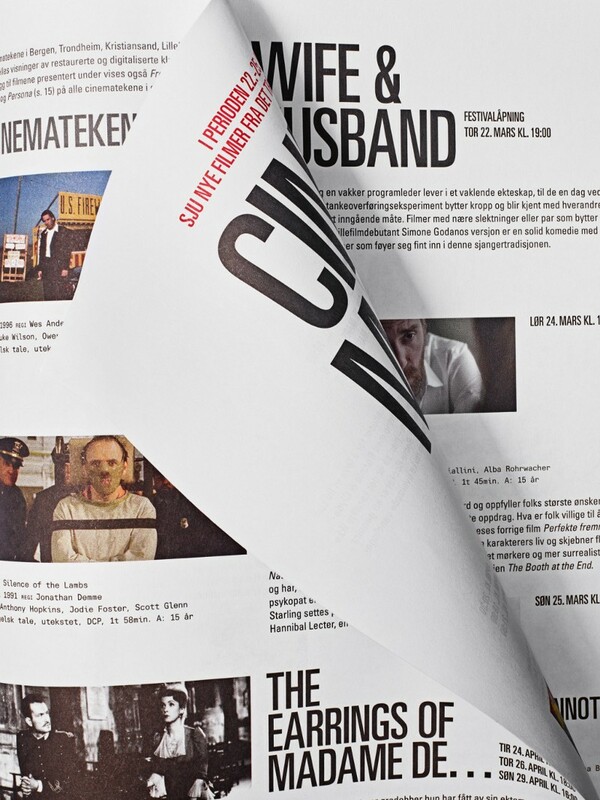 As far as the design solution goes, we looked to the typographic language of movie poster credits. This is a reference to the importance of everyone and everything involved in the film, beyond movie stars and visual effects. 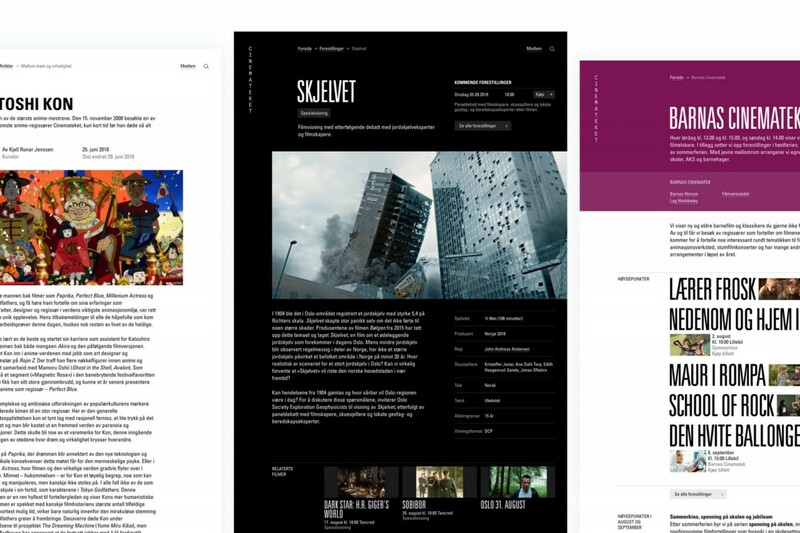 We wanted to create a platform where Cinemateket could present their insights on all aspects of the craft, from different picture formats and sound technologies to the relationship between Beau Travail and The Wrestler. 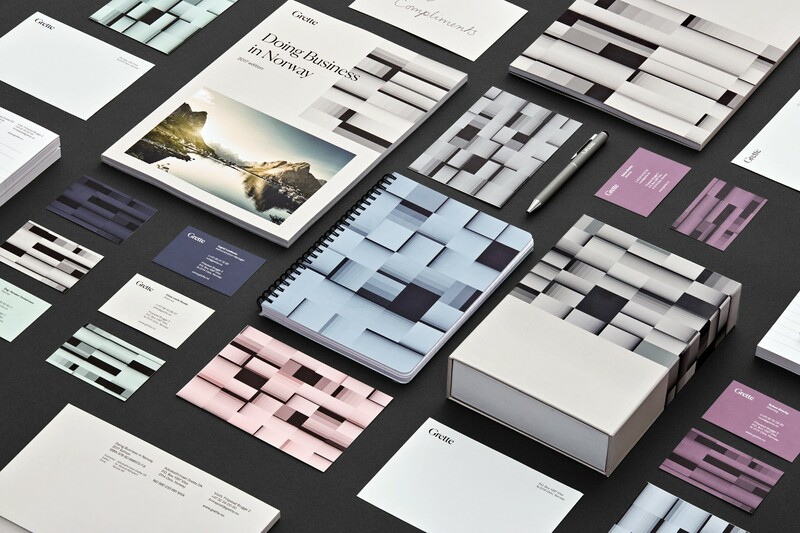 What is your preferred client/studio relationship or process when working on a brand identity? The main key is collaboration and dialogue — to which extent really depends on the client. With some clients, you are best off doing the classic presentation and feedback-run, whilst others are better off with a more iterative process with more touch points. It varies from project to project. I do think our workshop process and strict conceptual approach gives us extremely valuable insight that goes far beyond the boardroom and strategy documents, which result in brand identities that are much more than visual representations — they become tools for our clients to present themselves and develop their businesses. Not to say this is exclusive to us, but I do think our close collaboration is highly valued by the client. As brands become more fluid and evolving I think it’s only fair to assume that “guidelines” are more important than ever, but they also need to be just that — guidelines, not necessarily limitations. The idea must be that guidelines convey the fundamental thought behind an identity and enable whoever is reading/viewing/listening to/playing with it is better suited for strengthening the brand after doing so. 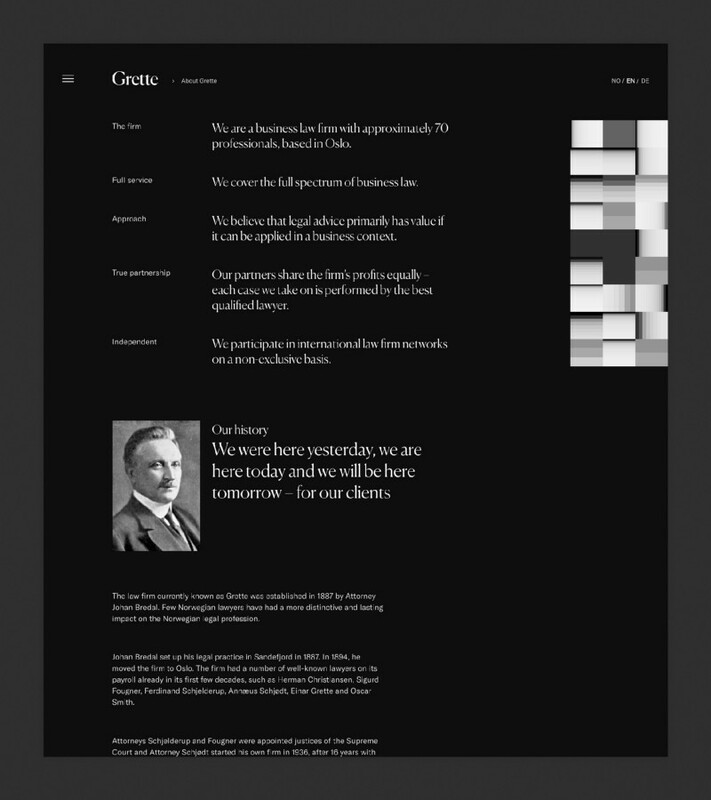 We always attempt to create a strong conceptual narrative that informs the design decisions we make, in order to move the discourse away from taste and preferences, and rather validate whether it helps the client convey who they are, or not. Well, for one I think the sentiment that a logo needs to fit on a pen to be successful is about ready to be buried. Jokes aside, I do think that we more than before need to treat brands as living organisms and acknowledge the fact that they will (and should) evolve over the course of time. And as such we need to create solid foundations for evolution rather than strict rules that limit potential. However I think consistency still is a key factor to the success of a brand, I’m just not certain that consistency equals doing the exact same thing time and time again. We interact with brands much more actively today, which in turn has lead us to transcend the days where a brand’s identity was its logo. User experience and interaction design now play key roles in how we remember a brand, and I think this will be further strengthened in the years to come. That does not mean the logo is no longer important, it just means that we as designers must be more wary of the entire experience, beyond aesthetics and its semiotics. Marius Sunde is a designer at Snøhetta in Oslo. Snøhetta is an integrated design practice of architecture, landscape, interiors, furniture, graphic and brand design. You can read more about them here.